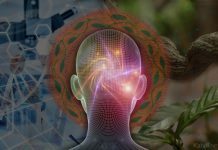 Are there any common elements that may underlie the practices of leading physicists and scientists, Renaissance alchemists, and Amazonian ayahuasca healers? There are obviously a myriad of things these practices do not have in common! Yet, if we look at understandings of the human body, the senses and styles of grammar, these seemingly very different practices may be triangulated to reveal a curious set of logics at play. In this short article, I illustrate how physicists, alchemists and Amazonian shamans identify their subjectivities (or ‘self’) with nonhuman entities and natural processes. This logic of identification indicates similarities, and also differences, in the practices of advanced physics, Renaissance alchemy, and ayahuasca healing. A small group of physicists at a leading American university in the early 1990s are investigating magnetic temporality and atomic spins in a crystalline lattice; undertaking experiments within the field of condensed matter physics. The scientists collaborate together, presenting experimental or theoretical findings on blackboards, overhead projectors, printed pages and various other forms of visual media. The physicists identify their own subjectivities and bodies with the things they are studying. Miguel, a researcher, describes to a colleague the experiments he has just conducted. He points down and then up across a visual representation of the experiment while describing an aspect of the experiment, “We lowered the field [and] raised the field”. In response, his collaborator Ron replies using what is a common type of informal scientific language. In the following reply, the pronoun ‘he’ refers to both Miguel and the object or process under investigation: Ron asks, “Is there a possibility that he hasn’t seen anything real? I mean is there a [he points to the diagram]”. Miguel sharply interjects “I-, i-, it is possible… I am amazed by his measurement because when I come down I’m in the domain state”. Here Miguel is referring to a physical process of temperature change; a cooling that moves ‘down’ to the ‘domain state’. Ron replies, “You quench from five to two tesla, a magnet, a superconducting magnet”. What is central here in regards to the common denominators explored in this paper is the way in which the scientists collaborate with certain figurative styles of language that blur the borders between physicist and physical process or state. The collaboration between Miguel and Ron was filmed and examined by linguistic ethnographers Elinor Ochs, Sally Jacoby, and Patrick Gonzales (1994, 1996:328). In the experiment, the physicists, Ochs et al illustrate, refer to ‘themselves as the thematic agents and experiencers of [the physical] phenomena’ (Osch et al 1996:335). By employing the pronouns ‘you’, ‘he’, and ‘I’ to refer to the physical processes and states under investigation, the physicists identify their own subjectivities and bodies with the things they are studying. When Miguel says “I am in the domain state” he is using a type of ‘private, informal scientific discourse’ that has been observed in many other types of scientific practice (Latour & Woolgar 1987; Gilbert & Mulkay 1984 ). This style of erudition and scientific collaboration obviously has become established in state-of-the-art universities given the utility that it provides for empirical problems and the development of scientific ideas. What could this style of practice have in common with the healing practices of Amazonian shamans drinking the powerful psychoactive brew ayahuasca? Before moving on to an analysis of grammar and the body in types of ayahuasca use, the practice of Renaissance alchemy is introduced given the bridge or resemblance it offers between these scientific practices and notions of healing. Graduating from the Basel Medical Academy in 1588, the physician Heinrich Khunrath defended his thesis on a particular development of the relationship between alchemy and medicine. 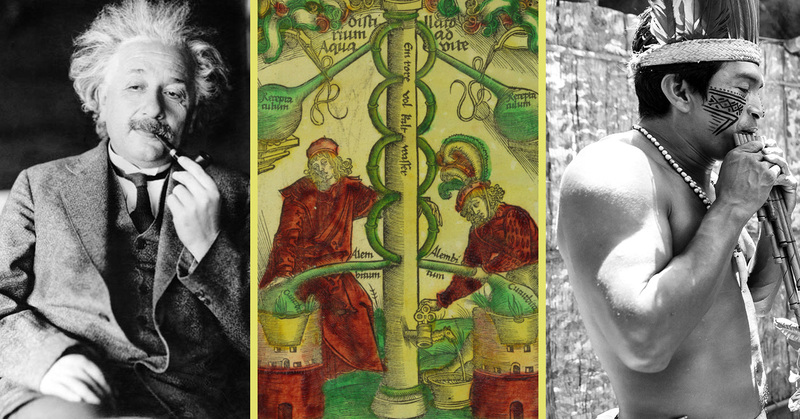 Inspired by the works of key figures in Roman and Greek medicine, key alchemists and practitioners of the hermetic arts, and key botanists, philosophers and others, Khunrath produced innovative and influential texts and illustrations that informed various trajectories in medical and occult practice. Alchemy flourished in the Renaissance period and was draw upon by elites such as Queen Elizabeth I and the Holy Emperor of Rome, Rudolf II. Central to the practices of Renaissance alchemists was a belief that all metals sprang from one source deep within the earth and that this process may be reversed and every metal be potentially turned into gold. In Renaissance alchemy there is a certain kind of laboratory visionary mixing that happens between the human body, the human temperaments and ‘entities’ or processes of the natural world. The process of ‘transmutation’ or reversal of nature, it was claimed, could also lead to the elixir of life, the philosopher’s stone, or eternal youth and immortality. It was a spiritual pursuit of purification and regeneration which depended heavily on natural science experimentation. Alchemical experiments were typically undertaken in a laboratory and alchemists were often contracted by elites for pragmatic purposes related to mining, medical services, and the production of chemicals, metals, and gemstones (Nummedal 2007). Allison Coudert describes and distills the practice of Renaissance alchemy with a basic overview of the relationship between an alchemist and the ‘natural entities’ of his practice. are intended to excite the imagination of the viewer so that a mystic alchemy can take place through the act of visual contemplation… Khunrath’s theatre of images, like a mirror, catoptrically reflects the celestial spheres to the human mind, awakening the empathetic faculty of the human spirit which unites, through the imagination, with the heavenly realms. Thus, the visual imagery of Khunrath’s treatises has become the alchemical quintessence, the spiritualized matter of the philosopher’s stone. In Renaissance alchemy there is a certain kind of laboratory visionary mixing that happens between the human body, human temperaments and ‘entities’ or processes of the natural world. This is condensed in the hermetic dictum “As above, so below” where the signatures of nature (“above”) may be found in the human body (“below”). The experiments involved certain practices of perception, contemplation, and language, that were undertaken in laboratory settings. The practice of Renaissance alchemy, illustrated in recipes, glyphs, and instructional texts, includes styles of grammar in which minerals, metals, and other natural entities are animated with subjectivity and human temperaments. Lead “wants” or “desires” to transmute into gold; antimony feels a wilful “attraction” to silver (Kaiser 2010; Waite 1894). This form of grammar is entailed in the doctrine of medico-alchemical practice described by Khunrath above. Under certain circumstances and conditions, minerals, metals, and other natural entities may embody aspects of ‘yourself’, or the subjectivity of the alchemist, and vice versa. Renaissance alchemical language and practice bares a certain level of resemblance to the contemporary practices of physicists and scientists and the ways in which they identify themselves with the objects and processes of their experiments. The methods of physicists appear to differ considerably insofar as they use metaphors and trade spiritual for figurative approaches when ‘journeying through’ cognitive tasks, embodied gestures, and visual representations of empirical or natural processes. It is no coincidence that contemporary state-of-the-art scientists are employing forms of alchemical language and practice in advanced types of experimentation. Alchemical and hermetic thought and practice were highly influential in the emergence of modern forms of science (Moran 2006; Newman 2006; Hanegraaff 2013). In the Amazon jungle a radically different type of practice to the Renaissance alchemical traditions exists. Yet, as we will see, the practices of indigenous Amazonian shamans and Renaissance alchemists appear to include certain similarities — particularly in terms of the way in which ‘natural entities’ and the subjectivity of the practitioner may merge or swap positions — this is evidenced in the grammar and language of shamanic healing songs and in Amazonian cosmologies more generally. While Yaminahua shamans use metaphors to control visions and shapeshift (or “see as”), they, and Amazonians more generally, understand shapeshifting in literal terms. In the late 1980s, Cambridge anthropologist Graham Townsley was undertaking PhD fieldwork with the indigenous Amazonian Yaminahua on the Yurua river. His research was focused on ways in which forms of social organisation are embedded in cosmology and the practice of everyday life. Yaminahua healing practices are embedded in broad animistic cosmological frames and at the centre of these healing practices is song. ‘What Yaminahua shamans do, above everything else, is sing’, Townsley explains, and this ritual singing is typically done while under the effects of the psychoactive concoction ayahuasca. The psychoactive drink provides shamans with a means of drawing upon the healing assistance of benevolent spirit persons of the natural world (such as plant-persons, animal-persons, sun-persons etc.) and of banishing malevolent spirit persons that are affecting the wellbeing of a patient. The Yaminahua practice of ayahuasca shamanism resembles broader types of Amazonian shamanism. Shapeshifting, or the metamorphosis of human persons into nonhuman persons (such as jaguar-persons and anaconda-persons) is central to understandings of illness and to practices of healing in various types of Amazonian shamanism (Chaumeil 1992; Praet 2009; Riviere 1994). The grammatical styles and sensory experiences of indigenous ayahuasca curing rituals and songs bare some similarities with the logic of identification noted in the sections on physics and alchemy above. Townsley (1993) describes a Yaminahua ritual where a shaman attempts to heal a patient that was still bleeding several days after giving birth. The healing songs that the shaman sings (called wai which also means ‘path’ and ‘myth’ or abodes of the spirits) make very little reference to the illness in which they are aimed to heal. The shaman’s songs do not communicate meanings to the patient but they embody complex metaphors and analogies, or what Yaminahua call ‘twisted language’; a language only comprehensible to shamans. There are ‘perceptual resemblances’ that inform the logic of Yaminahua twisted language. For example, “white-collared peccaries” becomes fish given the similarities between the gills of the fish and designs on the peccaries neck. The use of visual or sensory resonance in shamanic song metaphors is not arbitrary but central to the practice Yaminahua ayahuasca healing. Ayahuasca typically produces a powerful visionary experience. The shaman’s use of complex metaphors in ritual song helps him shape his visions and bring a level of control to the visionary content. Resembling the common denominators and logic of identification explored above, the songs allow the shaman to perceive from the various perspectives that the meanings of the metaphors (or the spirits) afford. The use of analogies and metaphors provides a particularly powerful means of navigating the visionary experience of ayahuasca. There appears to be a kind of pragmatics involved in the use of metaphor over literal meanings. For instance, a shaman states, “twisted language brings me close but not too close [to the meanings of the metaphors]–with normal words I would crash into things–with twisted ones I circle around them–I can see them clearly” (Townsley 1993:460). Through this method of “seeing as”, the shaman embodies a variety of animal and nature spirits, or yoshi in Yaminahua, including anaconda-yoshi, jaguar-yoshi and solar or sun-yoshi, in order to perform acts of healing and various other shamanic activities. While Yaminahua shamans use metaphors to control visions and shapeshift (or “see as”), they, and Amazonians more generally, understand shapeshifting in literal terms. For example, Lenaerts describes this notion of ‘seeing like the spirits’, and the ‘physical’ or literal view that the Ashéninka hold in regards to the practice of ayahuasca-induced shapeshifting. The practices of indigenous ayahuasca shamans are centred on an ability to shapeshift and ‘see nonhumans as they [nonhumans] see themselves’ (Viveiros de Castro 2004:468). Practitioners not only identify with nonhuman persons or ‘natural entities’ but they embody their point of view with the help of psychoactive plants and ‘twisted language’ in song. Through a brief exploration of techniques employed by advanced physicists, Renaissance alchemists, and Amazonian ayahuasca shamans, a logic of identification may be observed in which practitioners embody different means of transcending themselves and becoming the objects or spirits of their respective practices. While the physicists tend to embody secular principles and relate to this logic of identification in a purely figurative or metaphorical sense, Renaissance alchemists and Amazonian shamans embody epistemological stances that afford much more weight to the existential qualities and ‘persons’ or ‘spirits’ of their respective practices. 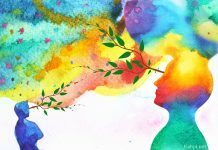 A cognitive value in employing forms of language and sensory experience that momentarily take the practitioner beyond him or herself is evidenced by these three different practices. However, there is arguably more at stake here than values confined to cogito. The boundaries of bodies, subjectivities and humanness in each of these practices become porous and blurred and are transcended while the contours of various forms of possibility are exposed, defined, and acted upon — possibilities that inform the outcomes of the practices and the definitions of the human they imply. An earlier version of the article first appeared here.